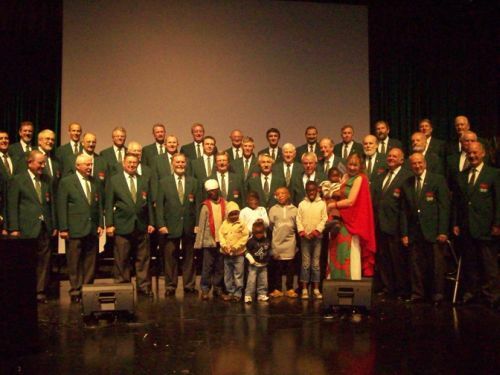 Music lovers are in for a real treat on Saturday 09 May, when South Africa's renowned Welsh Male Voice Choir will again raise the rafters in support of a deserving local cause. 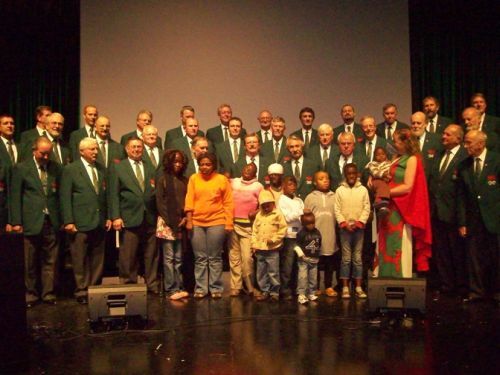 The choir - correctly the C�r Meibion Cymru De Affrig for those with well-trained tongues - will perform at the University of Johannesburg's Sanlam Auditorium at 19h30. Tickets for the concert cost R100, and are available at Computicket and at all Shoprite and Checkers stores. The concert will raise funds for Children of Fire - Africa's first registered burns charity - which cares for a large number of young burn survivors from all over Africa, facilitating their counseling and medical treatment; and provides education and disaster relief services in affected communities. Manager Lindiwe Ngwenya said "We are delighted and very grateful that the choir has agreed to help us with our main fund-raising event this year. As always, they will provide a marvelous evening's entertainment." "The Children of Fire receive no government funding whatsoever, and we rely entirely on private sector donations. We really hope that the public will once again give us great support." "We also appeal to the media for their support in publicising this event widely in Gauteng. We would obviously like to ensure that every ticket is sold, raising as much money as possible to help these very brave children." Children of Fire, Africa's first burns charity, is dedicated to sourcing and maintaining medical treatment for young burn survivors, providing disaster relief to communities devastated by fire, educating communities on fire prevention, and promoting the emotional and interpersonal development of young burn survivors. In its 13 years of operation, Children of Fire has helped more than 250 young burn survivors in various capacities, from sourcing complex reconstructive surgery to providing counselling or solving family disputes. The charity receives no funding from government and relies solely on donations from the public. It has been praised as the only organisation of its kind by the World Health Organisation. C�r Meibion Cymru De Affrig was formed in 1978, and now gives more than 50 concerts annually. We are a not-for-profit choir, dedicated to our community, and regularly perform to raise funds for charitable organisations. Current membership exceeds 60, few of whom are of Welsh extraction. However the Welsh choral tradition is strictly upheld. The choir's repertoire encompasses opera to spirituals, popular songs to classics, and show hits to religious pieces (particularly Welsh hymns). The choir also performs pieces in English, isiZulu, isiXhosa, Afrikaans, Sesotho, German, Latin, Italian and French. The choir has the honour of being the first outside the UK to be awarded membership of the prestigious 'Welsh Association of Male Choirs'. 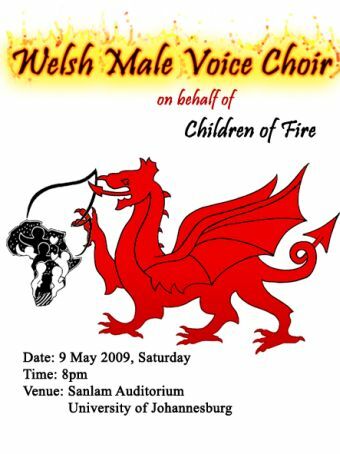 The red dragon from the Welsh flag flew for Children of Fire at a fundraising concert at University of Johannesburg on 9 May 2009. The red dragon from the Welsh flag - it's for a fundraising event that will be held at University of Johannesburg, 9 May 2009.